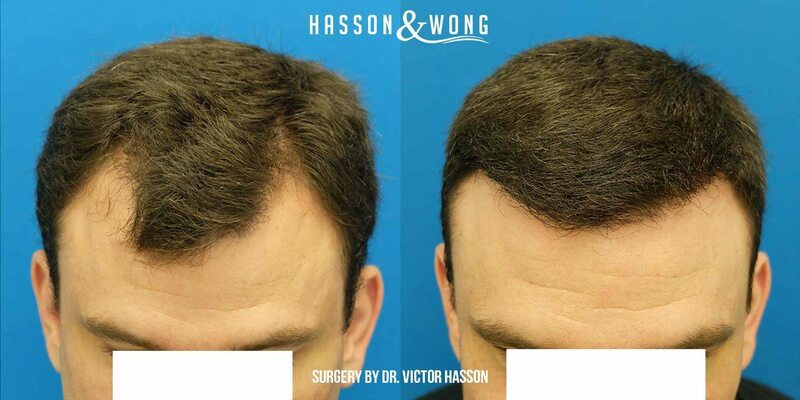 Hasson and Wong hair transplant clinic, Vancouver, Canada. Hair transplant patient in his early 30s with very obvious signs of temporal receding on both sides. 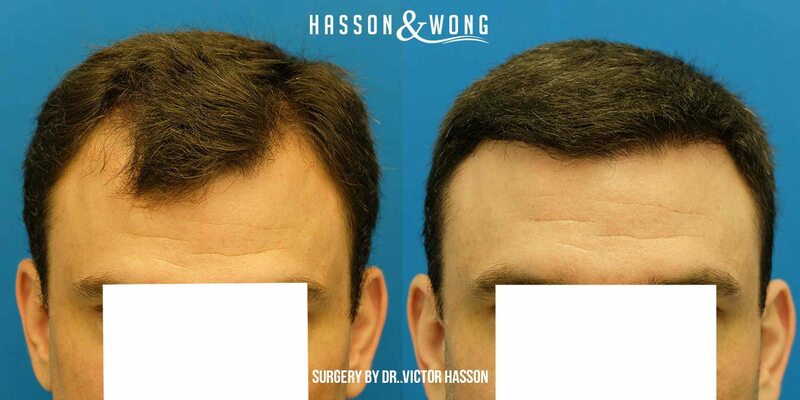 This is one of the most typical pattern of male androgenetic alopecia or male pattern baldness. Early stages usually manifest in the form of receding hairlines on both wedges of the temples. 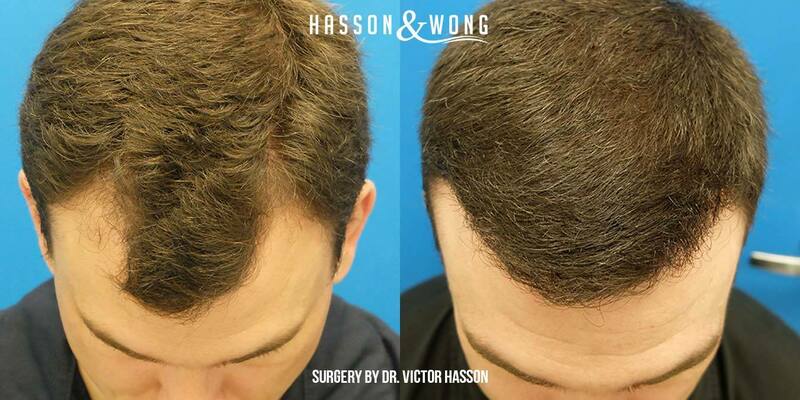 A total of 1842 grafts were transplanted for this patient. 523 were single hair grafts, 1245 were double hair grafts and 70 were 3-4 hair grafts. The strip size was 15cm x 1.5 cm. 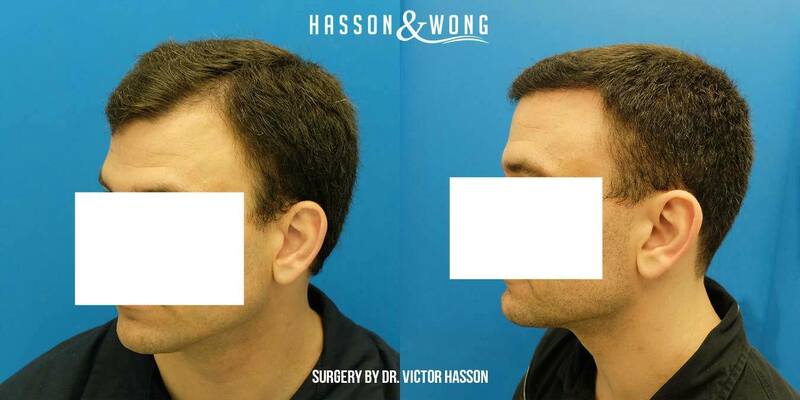 Hasson and Wong is one of the most celebrated names in hair restoration and has been a sponsoring clinic on HairSite for 10 uninterrupted years. They are well known for their strip procedure, presently one of the top ranked hair transplant clinics featured on HairSite. FREE no obligation in person consultations are available in cities across US, Canada and Europe. 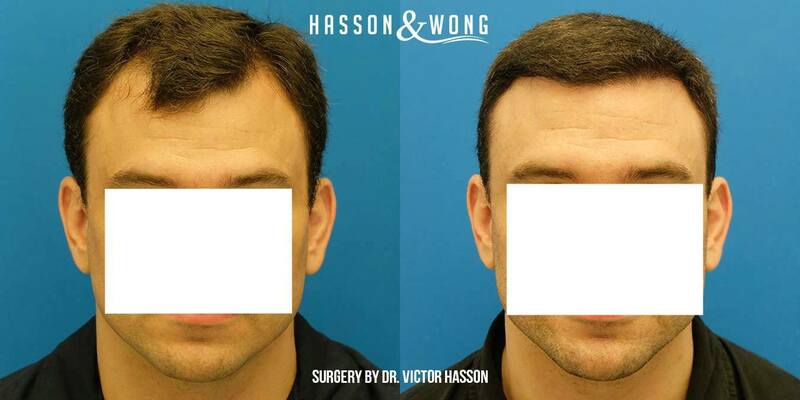 Check Hasson and Wong FREE consultation schedule for the latest event at a city near you.